Slap a piece of fish on the ground and I’d happily eat it. Put some of Singapore’s famous chicken rice on the subway floor and I’d willingly go for seconds. Singapore is so clean that you could literally eat off the sidewalks. There are few other places in the world where I’d say this, but here it’s true. I’d eat off the floor in any public restroom, off any sidewalk or off any of Singapore’s many subway cars. The government has little tolerance for trash in a city that’s been deemed one of the cleanest in the world. 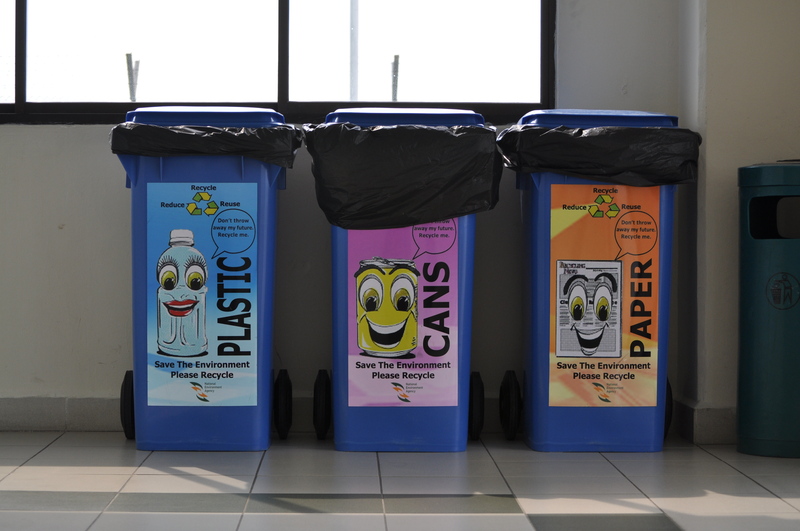 Even the trash cans use colorful characters that playfully encourage recycling. 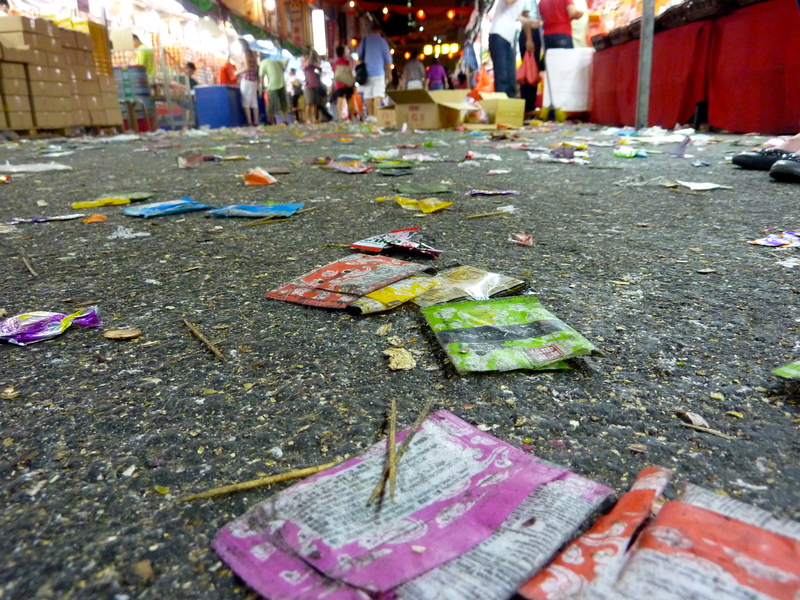 Littering here is a punishable offense–to the tune of $1,000 SGD. But of course, there are exceptions to every rule. There’s only one place in this city where I’d never eat off the ground. You couldn’t pay me to eat my dinner from among the plastic wrappers and empty plastic bags that crowd these streets–Chinatown in the weeks leading up to the New Year. The trash here is ephemeral and will surely disappear in the coming weeks, but for now at least there’s one spot where even the five second rule doesn’t apply.